Is it really time to start thinking about the holidays and the mass chaos it brings? I suppose it is, only if you are like me, I typically forget about the gift buying and skip straight to the celebrating. Last fall the kids and I loaded up and headed to the Lake of the Ozarks during Thanksgiving break - one of the best decisions I ever made. The holiday season in the Lake of the Ozarks is unique - you still get that small town community togetherness feeling, but you have all the luxuries of the city. Nothing says Happy Happy Holidays like a beautiful light show - the lake area has several displays spread out through out the area. Over 110 outlet stores located in Lake of the Ozarks - forget Black Friday Shopping, think about sipping cocktails on the lake and then hitting the outlet stores. Family Friendly Cave exploring at Bridal Cave - I can assure you this is a must see! A must see show, especially if you have kids. The gang at Main Street Music Hall can really bring cheer to you - and keep you laughing. 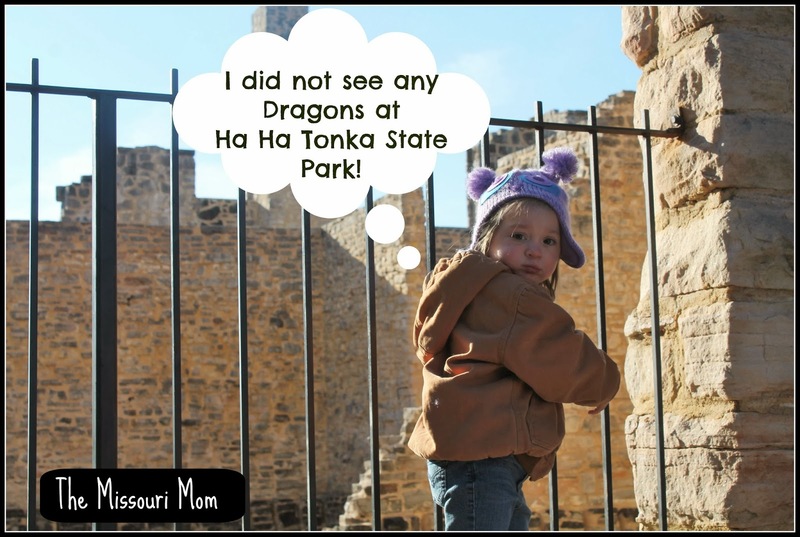 Ideally Ha Ha Tonka State Park is for hiking in the summer or fall, but the view is stunning no matter what time of year you go. New winter attraction at the lake, an outdoor ice rink aptly named "The Ice," opens to the public on Dec. 4 at Old Kinderhook Resort in Camdenton....I almost cried when I saw this, I so want to go! Beautiful! We have never been to Lake of the Ozarks at Christmas! Branson yes. Even the year I lived in Versailles we didn't go. Might have to make a trip!